As you’ve no doubt read over and over, video is the best performing content option on every social platform, which is particularly relevant in the case of Facebook. Research shows that videos are the Facebook format most likely to reach and engage audiences, and with Facebook continually reducing organic reach through its News Feed algorithm updates, and sucking away referral traffic for Pages, an increasing number of businesses are turning to video on the platform to reduce their losses. That, of course, makes logical sense - and Facebook now even provides tools to make it easier to create video from image and text assets to help more businesses do so. But in order to maximize the performance of your video content, you also need to know which types of videos generate the best response, and where you should use each to best connect with your audiences. 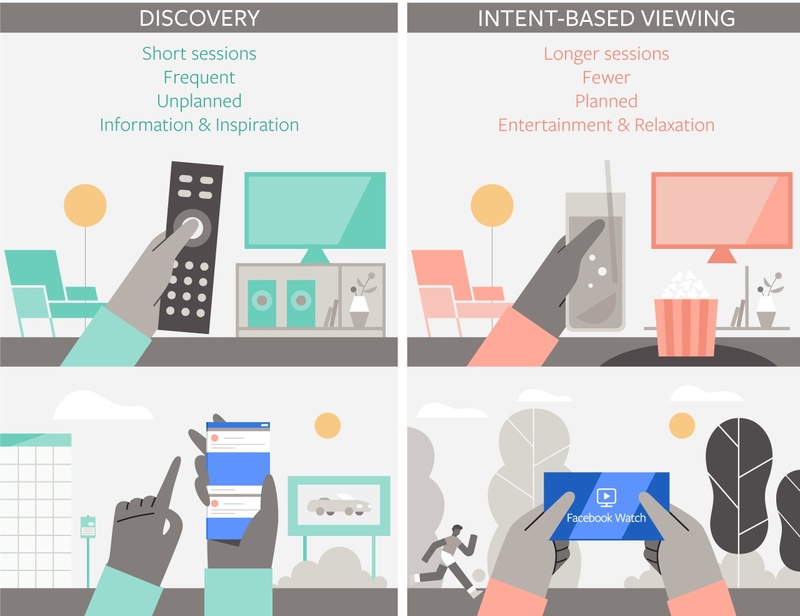 With the expansion of Facebook Watch to all regions this week, Facebook has published a new report which looks at optimal video performance among various age groups and consumption types, in order to help businesses better utilize their various video options. Because Facebook now offers ad options within both elements, it’s important for advertisers to consider when and how they’re reaching people, and the varying mindsets in each respect. That separation is fairly obvious, but it is worth noting - the creative you use in your Facebook Watch video ads should likely not be the same as what you use when targeting News Feed video consumers. The latter, in Facebook’s case, relates to Facebook Watch – for Watch, Facebook’s data shows that viewers stay to watch videos for 5x longer than they view them in the News Feed. That’s a key point, because while it would be easy to simply plaster your Facebook video ads across all available surfaces, using the platform's audience targeting options to get the best results, you also need to consider consumption habits in your planning. That also relates to the audience you’re trying to reach – Facebook additionally notes that young people are far less likely to pay attention to video ads than those in older age brackets. Facebook’s researchers have also found that people have low tolerance for long ads, with significantly higher abandon rates for ads longer than 15 seconds. For example, Facebook says that Stories can be a great opportunity to feature behind-the-scenes sneak peeks or more unfiltered, raw videos, while in-stream ads are good for longer storytelling about a new product or to reach a new audience that needs more information. Based on the aforementioned viewing insights, you should be focusing your video ads to specific audience subsets. Facebook also notes that advertisers shouldn't compare their video ad performance across different platforms. Given the variances in consumption behavior, it makes little sense, for example, to match the performance of your News Feed video ads against those you use in Watch content. These are some key tips, which, as noted, all Facebook video advertisers should take into account. You can read Facebook’s full video advertising performance report here.